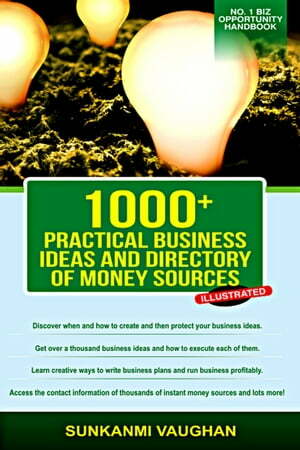 Collins Booksellers - 1000+ Practical Business Ideas and Directory of Money Sources by Sunkanmi Vaughan, 9781370112951. Buy this book online. This is the No. 1 Business Opportunity handbook. This book offers tremendous practical benefits to you if you are about to start your own business or already own a business as an entrepreneur. -Get over one thousand practical biz ideas and how to execute each Biz idea. -Access the contact information of thousands of instant money sources. -Obtain loads of practical tips on how you can become owner of a successful business and lots more. Written in easy-to-understand English language with professional content layout for easy identification. It is affordable and most readers have adjudged that this book is far worth more than its price.